Normally, the book reviews here at Niagara's Watercooler fall to Craig Bacon. And the movie reviews are typically George Root's domain. For the purpose of the rest of what you're about to read, consider it a combination of the two while a bit of a parental reminder is mixed in, one we all could use. In late December I stopped by the Lee-Whedon Library in Medina and picked up a piece of paper that suggested taking a reading challenge. Read 52 books in 2018. This challenge, an annual one for a great many libraries across the country, was one that for some reason kicked me into gear for the first time in years. By the end of the first week in January I had finished book one, a debut novel by author Nathan Hill called "The Nix." I had started it back in September but life got in the way of finishing it. I finally was able to put a stop to the outside noise and in a matter of just a couple days I completed the rest of the book - which by the way was more than 550 pages. Given its length, I counted that as a full book for 2018, and I was off and running. 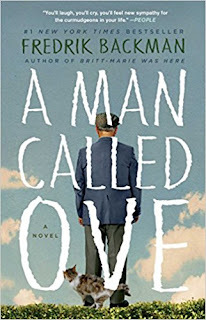 A few days before Cupid's holiday, I dove headfirst into a book titled "A Man Called Ove," by Fredrik Backman. Published in Sweden in 2012, and then distributed in a translated version in 2014, this was Backman's first novel. What an incredible way to start. Whereas the first half dozen books I read included action, romance, mystery, wonder, nonsense, and a variety of things to make you go, "hmm...," Ove included all of that and more. There was even a tidbit of action that had me laughing to myself. None of the other books, however, left me sitting in a suddenly very dusty room when I finished them. In creating Ove, a character we very quickly learn is a widower, Backman was able to tap into the sense of what we hope is moral and just in every one of us. 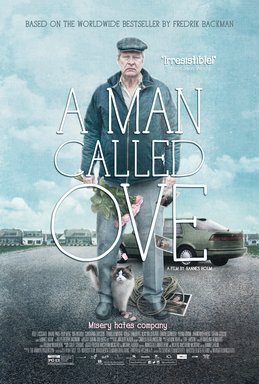 As the inside of the paperback book cover states, "At first glance, Ove is most certainly the grumpiest man you ever met. Never trust first impressions." This line is good, but it only scratches the surface of the depths of the character of Ove. For most of the book, Ove is on a quest to complete one singular task - suicide. He has embraced the idea of dying in order to once again be with his beloved Sonja. However, one person after another continues to need him for something or something else. There is even a cat who essentially gets in his way. Ove's neighbor, Parvaneh, at one point even tells him how terrible he is at dying. The irony here is that throughout the book we discover that Ove is actually quite capable of just about anything. As the story progresses, there are some flashbacks to Ove's life with his wife, and Backman touches on what could have been by surrounding Ove with the people who are, in Ove's mind, nuisances. If you're a believer in such things, you could argue that each person and thing to cross Ove's path during the story was put there by his dearly departed wife. By the story's end, any reader with a heart is left feeling thankful for having taken the time to get to know Ove and all of his personality quirks. As it turns out, this book was adapted into a movie in 2015, and that movie was not only the highest grossing foreign language film in the United States in 2016, it was also nominated for two Academy Awards. Even better, it was on Amazon Prime. As film adaptations go, I've seen plenty of books put to the big screen and very few were as faithful to their source material as the English-subtitled En man som heter Ove. Furthermore, the book's success - No. 1 on The New York Times bestseller list, remaining on the list for 77 weeks; being translated for distribution in 43 languages - has led to none other than Tom Hanks being attached to English language adaptation of the project. I hope he succeeds, but frankly, the actor who played Ove in the Swedish film was almost exactly as I'd pictured Ove in my head. Rolf Lassgård embodied the role so well that should Hanks wind up in the starring role he will have some big shoes to fill, and that's saying something. As I watched the movie I found myself laughing at many of the same parts that I did in the book. Then about halfway through the film, my youngest daughter decided to join me. "I watch your show with you? I cuddle with you, Daddy?" I was sitting in such a position that as Rayna snuggled up next to me she was able to rest her head on my chest. Half an hour later, she'd fallen asleep on my lap. When the final few scenes of the movie began to play out I knew what to expect, but that didn't take away from the emotional power those scenes held. Combine it with the fact that the underlying theme of the movie - family - was right in front of me, I don't know, maybe that was why it affected me in such a way. Overall, both the book and the movie left me with the feeling that one person's legacy isn't necessarily about tangible things. It is about the effect we have on the lives of those around us. Too often we forget that, but this book and its faithful movie adaptation served as glorious reminders. Howie Balaban is open to book recommendations, especially if there is a movie version with which to compare it.